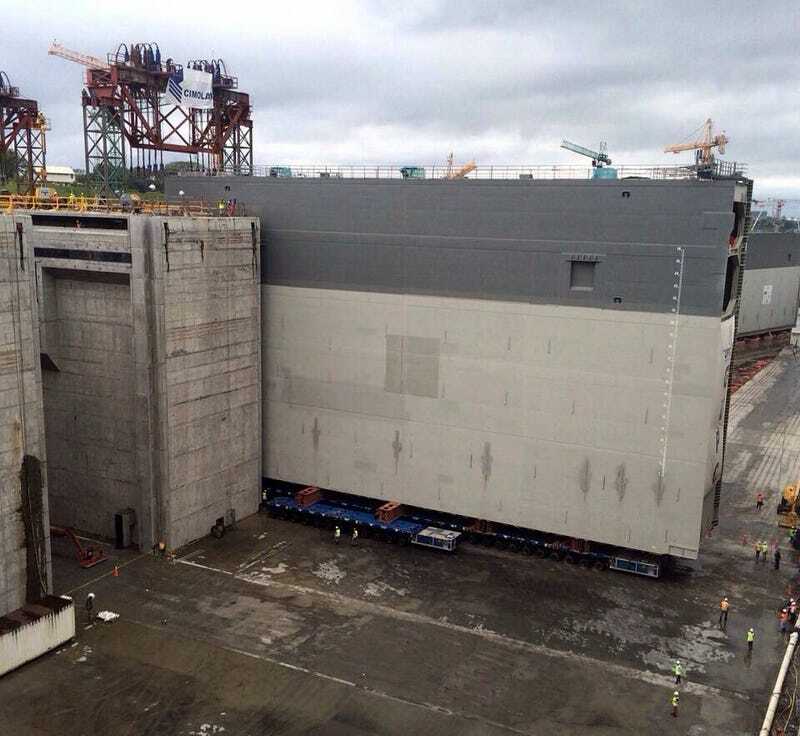 The new Panama Canal lock gates are now being installed and holy crap they are gigantic to the point of disbelief. Egyptian pyramids-level huge. Imperial Star Destroyer-level massive. Look at those tiny people and the size of those concrete canyons. The 3,285-ton 9-story-high gate is 33 feet (10 meters) wide. Talking to Marine Link, "the installation of the gate began early in the morning and is expected to be completed in the next couple of days. The steel gates are moved using self-propelled motorized wheel transporters (SPMTs) with more than 400 wheels each. The new locks will have 16 rolling gates, eight in the Pacific and eight in the Atlantic."